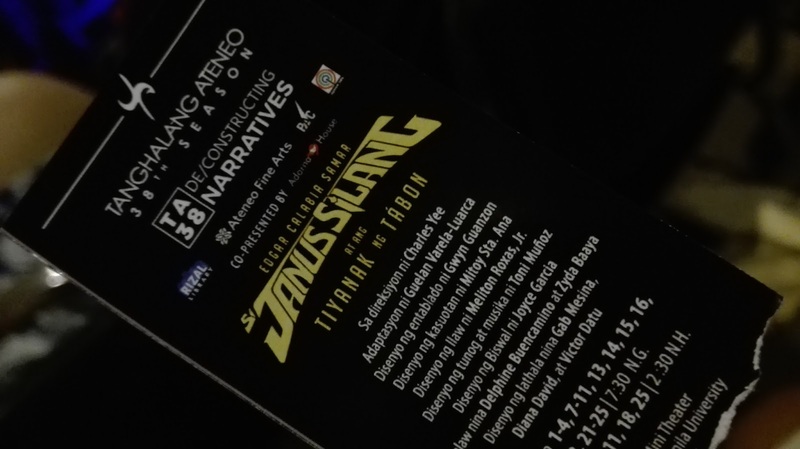 Edgar Calabia Samar’s phenomenal young adult novel, "Si Janus Silang At Ang Tiyanak ng Tabon", found its way to the stage of Ateneo de Manila University! Adapted for stage by Palanca award-winning playwright Guelan Luarca and directed by Charles Yee, the play proved to be an exciting treat to theater and non-theater enthusiasts alike. "Si Janus Silang At Ang Tiyanak Ng Tabon"
Luarca excellently picked the best portions of the book to be highlighted, allowing the non-readers of the novel to follow the story of Janus Silang and how his adventures in search for Tala would begin. Yee was also superb in ensuring that there would be no dull moments throughout the entire one and a half running time. 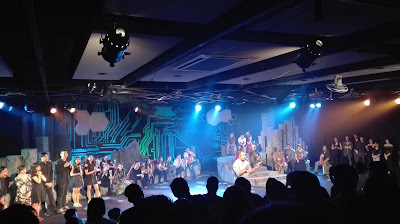 The young thespians of Tanghalang Ateneo were equally commendable in giving life to the characters of the novel. The cast and crew of "Si Janus Silang At Ang Tiyanak Ng Tabon"
The challenge of the play for me though, was how to reveal that Juno, the (supposed) younger brother of Janus, did not really exist. 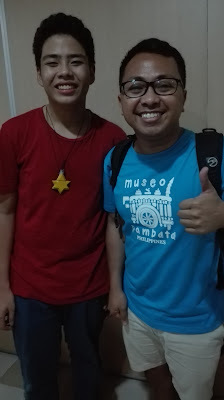 In the book, you would only get this “mystery” towards the end, but in the play, you would already have a clue that indeed, this younger brother was non-existent, and that only Janus could see him, because he was the villain “Tiyanak”. 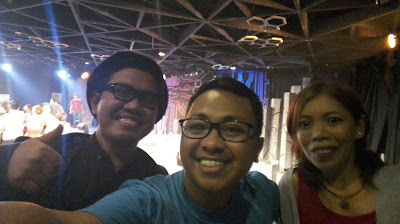 Overall, however, this production deserve all the positive reviews it got from the critics. It made me want to read the books again. According to Glen Mas, they would prepare for the staging of the 2nd book, Si Janus Silang at ang Labanang Mambabarang Mananangal, soon. ABS-CBN is also adapting the book into TV series, while Samar is working on finishing the 3rd installment of the story!